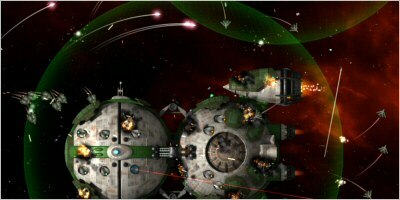 The Tribe are the latest race to enter the fray in Gratuitous Space Battles. Known for their patronizing attitude and their use of kinetic weapons, plus their cunning ability to somehow squeeze auto-repair systems into frigates, the tribe are here to sort out the warring factions and bring peace in our time. 11 New ships. 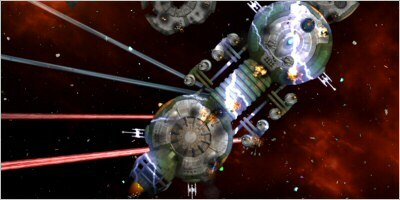 4 Cruisers 3 Frigates and 4 fighters, all in a new graphical style by the same artist who did the original GSB artwork. Enhanced repair modules. The tribe are great at repair, and their repair modules are race-specific and out-perform everyone else's. New ship bonuses. 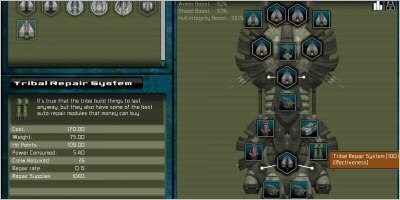 The tribe ships have only half the shield and armor strength of everyone else, but they have twice as strong hulls as their opponents. 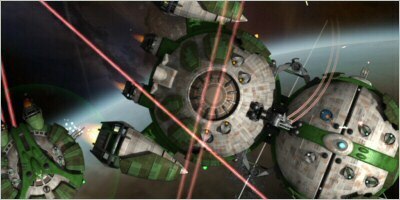 This means Tribe ships seem to be on-fire and falling apart for half the battle. It also means you need to re-think your tactics. 2 New Scenarios. Two maps for you to fight against the tribe, or for you to use in uploaded challenges with whichever fleet you like. How does this work with challenges and stuff? If you install the expansion pack, then in future when you post challenges the game will have a little ticked checkbox which tags your challenge as having content from the tribe. That means only people with the expansion pack can play that challenge. If you aren't using any tribe ships in your fleet, you can un tick that box and the challenge will work just as before. You will be able to download and play existing challenges with your tribe fleet no problem. I bought the game from X, do I need to get the expansion pack from that site too? No. It won't make any difference. You are an evil media conglomerate and a greedy capitalist for releasing an expansion pack etc. Unfortunately my landlord and the people who sell me food all demand I pay them in something other than GSB expansion packs (the fools!) so I have to exchange the packs for money. Plus I have to pay the artist and feed these cats. Sounds awesome. I must have this immediately. let me buy it now! For Apple MAC copies of the DLC, please visit our mac partners at RedMarbleGames (RedMarbleGames). This page ONLY sells PC versions.